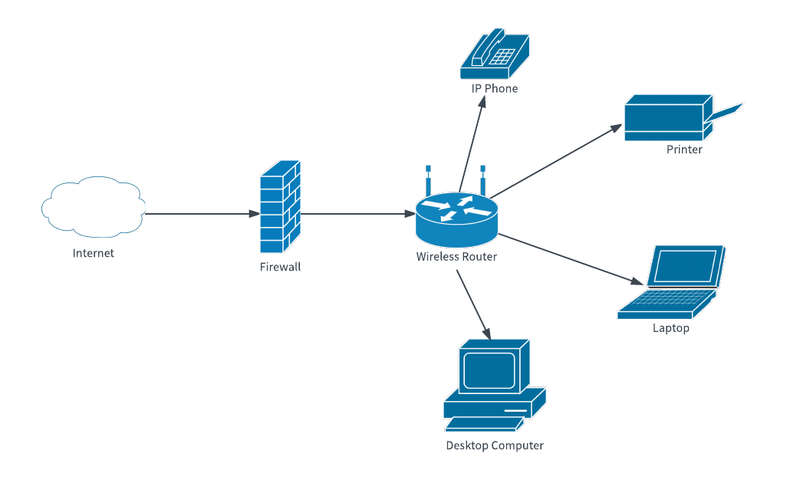 A home network diagram helps you plan the structure of your home network. It can be crucial for reporting and troubleshooting network problems. Build a network diagram for your home using the home network diagram template above by simply signing up for a free Lucidchart account. Log in to change the color, shapes, text and more.